There is a lot of bad blood between Minnesotans and Philadelphians right now, stemming from the Vikings' trip here to play the Eagles in the NFC Championship game. Some of the gripes from Vikings fans are warranted, particularly having beers thrown at them. With the Eagles officially in town to play the Patriots in the Super Bowl on the Vikings' home turf, one bar is offering to return the favor. John Clark from NBC Sports Philadelphia snapped a picture of this sign outside the Truth Bar in Minneapolis. Do you get it? At first, the sign makes it seem like the bar is offering free beer to Eagles fans. 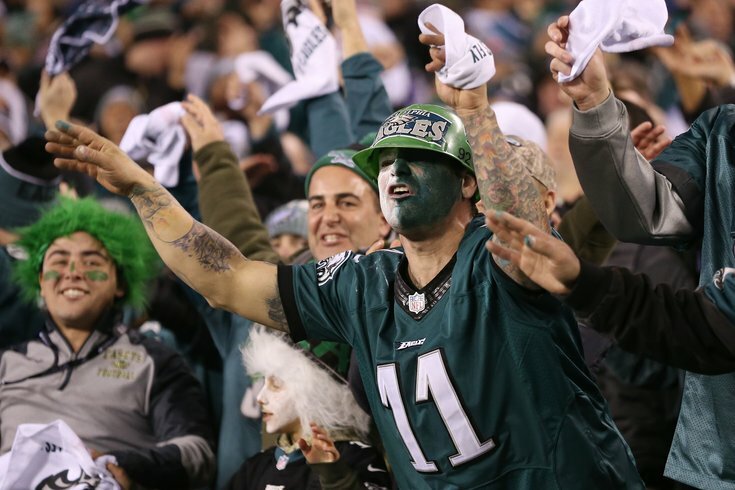 In reality, it's offering to throw free beer at Eagles fans. Really clever stuff here. The Truth Bar is a shared space where members — employees, clients and special guests of Kruskopf & Company (KC) — are welcome to come work or have meetings or host events. Basically, we figured the last thing the world needed was another conference room. So we built a bar. That’s not a question, but thanks. Woah! You're telling me these guys work hard, but drink alcohol at the same time occasionally?! That's wild, man. You guys are just wild. I remember my first beer.